Whimsy Wood Hip Hip Hooray! It’s World Book Day! Finally, this fabulous day for celebrating everything and anything to do with books is here! Yippee! I hope wherever you are, you are having a delectable day reading your favourite book, dressing up as one of your much-loved book characters, or watching a film adaptation of your most treasured book. I’ve been having a splendiferous time myself this entire week in the name of World Book Day, as I have been privileged enough to be invited to not just one, oh no, no, no! Not just 2, or even 3 my good friends! I was invited to visit 4 fantastic primary schools this week, as part of their celebration for World Book Day today. These schools were Staniland Academy in Boston, Lincolnshire, Easton Royal Academy in Easton Royal, Pewsey, Wiltshire, Queen’s Crescent Primary in Chippenham, Wiltshire and this afternoon I’m visiting Heddington Primary in Heddington, Wiltshire. I’ve had so much fun taking their assemblies, creating woodland maps with their Year 2 children, creating woodland characters with their Year 1 children and discussing woodland phonics with their Reception children. I also ran creative writing workshops for the Junior children at Easton Royal Academy, where I am honoured to be their Associate Author. I was also very fortunate to be invited to Queen’s Crescent Primary’s Reading Festival that they held last night. 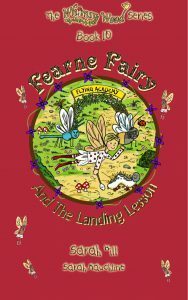 I’m really looking forward to reading book 6, ‘Posie Pixie And The Snowstorm’, to all the Key-Stage 1 children at Heddington Primary this afternoon and to be part of their Book Fair after school today. 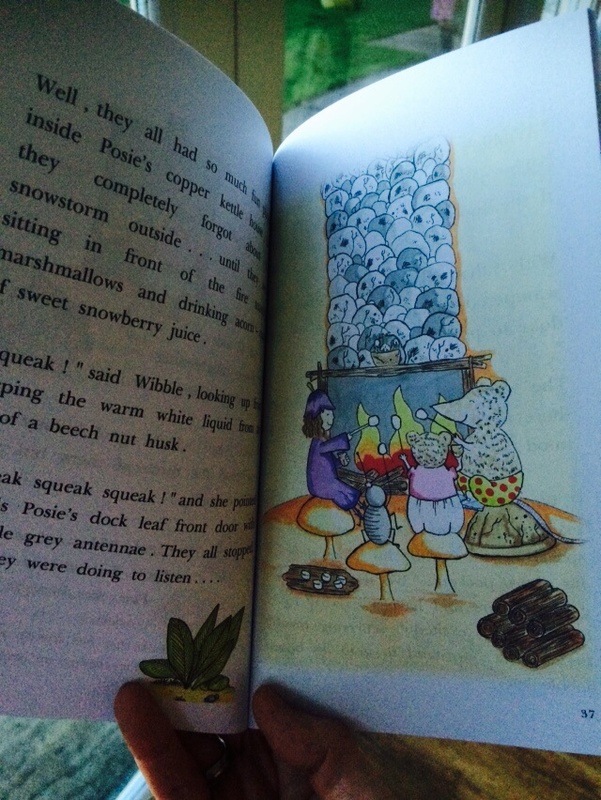 Inside book 6, ‘Posie Pixie And The Snowstorm’! Now Posie was beside herself with excitement during the launch of book 6 at the weekend! She’s also giddy with glee, since it’s World Book Day today! So much so, she thought she’d try to write her own story with the help of all the ‘Whimsy Wood’ folk! Now down in ‘Whimsy Wood’, they don’t have such things as paper or pens of course. Instead, ‘Posie Pixie’, ‘Raspberry Rabbit’, ‘Florence Fox’ and ‘Bromley Badger’ have been writing their own special stories on ivy leaves. ‘Mrs Spottisdowne the sparrow’ had to fly to ‘The Woodland Store’ earlier, to purchase some more blackberry ink from ‘Mrs Scarlet the squirrel’, who runs the store. The woodland folk had been creating some many splendid stories, that they’d used up Posie’s blackberry ink supplies! !